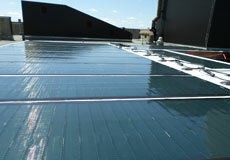 The FLEX Series product is the ideal solar solution for metal and low-slope commercial roofs. 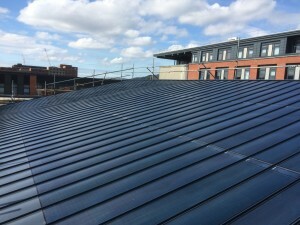 These panels are lightweight and can be directly bonded to both metal and membrane system roofs — eliminating the need for solar racking, reducing weight load and significantly lowering project costs. 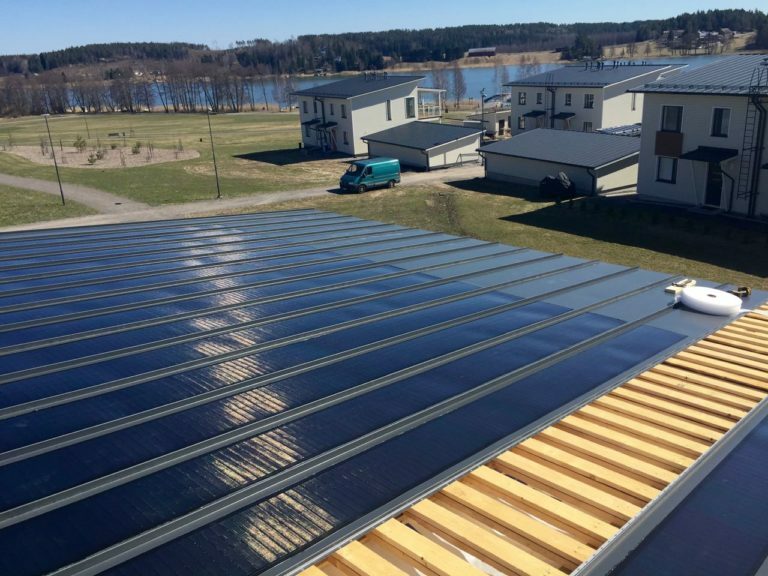 For metal roofs, the FLEX series PV modules can be installed over a wide range of standard architectural metal roof panels, including flat and striated panel pans ranging from 16 to 36 inches wide. 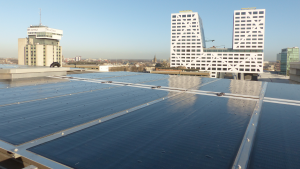 As an example, the FLEX Series modules can be directly applied to square rib corrugated panels to create solar parking canopies. 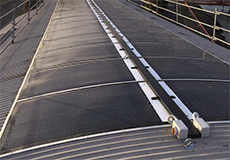 For today’s advanced membrane roof systems, the FLEX modules bond directly onto the membrane, eliminating the need for solar racking, concrete ballasts, and roof penetrations. 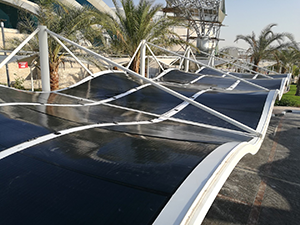 Integration of the low profile, thin film modules onto the membrane roof surface protects against seismic movement and high winds. The MiaSolé FLEX modules simplify project logistics and reduce labor costs and installation times. The final installed solar solution is lightweight, making it ideal for low weight bearing building structures. See a video of the installation. 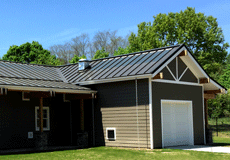 The MiaSolé Flex Series solar modules are designed for building integrated solar applications over a wide range of residential standing seam metal roof panels. MiaSolé’s FLEX N series panels can be applied onsite and are available factory laminated onto metal roof panels by Miasole’s metal roof manufacturer partners to reduce onsite labor cost. 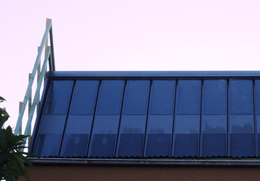 Unlike conventional glass modules and rack systems that cover the metal roof, the FLEX N series modules bond directly onto the metal roof panel and blend in with architectural standing seam panels preserving the visual look and design of the architectural metal roof panels. 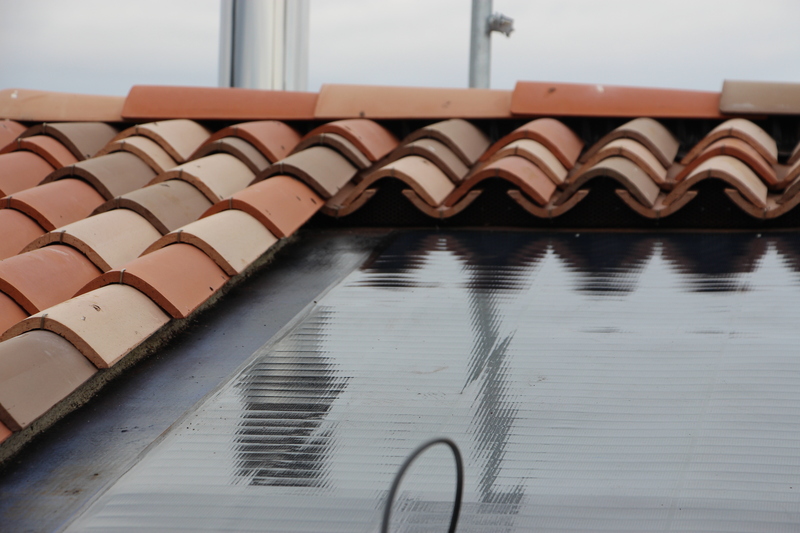 Integration of the low profile, BIPV roof modules onto a residential roof surface protects against seismic movement and high winds. The final installed solar solution is lightweight, maintains normal roof warranty, and is ideal for low weight bearing building structures. The low-profile MiaSolé FLEX modules offer superior performance in high-wind environments, making them an ideal solution to provide solar power on boats. 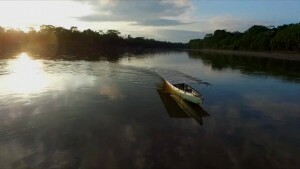 The low-profile unobtrusive design also maintains the aesthetic appeal of the boat. 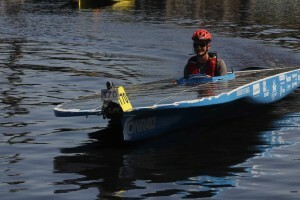 The panels are so lightweight that they do not require retrofitting the boat structure for support, and they can be easily mounted and removed. 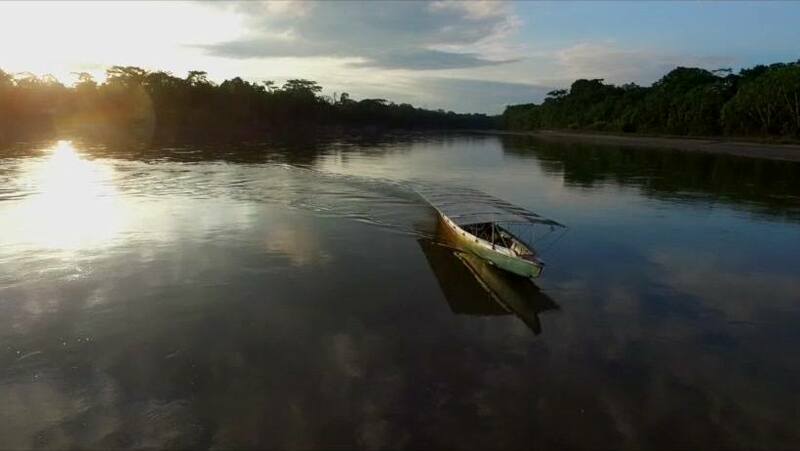 The high efficiency rating of 16% enables the highest energy production possible in a flexible panel, crucial on a boat with little free space. The installation of solar (photovoltaic or PV) carports on both private- and public-owned parking lots provides a new and cost-effective opportunity for generating clean, renewable energy without consuming additional land resources. 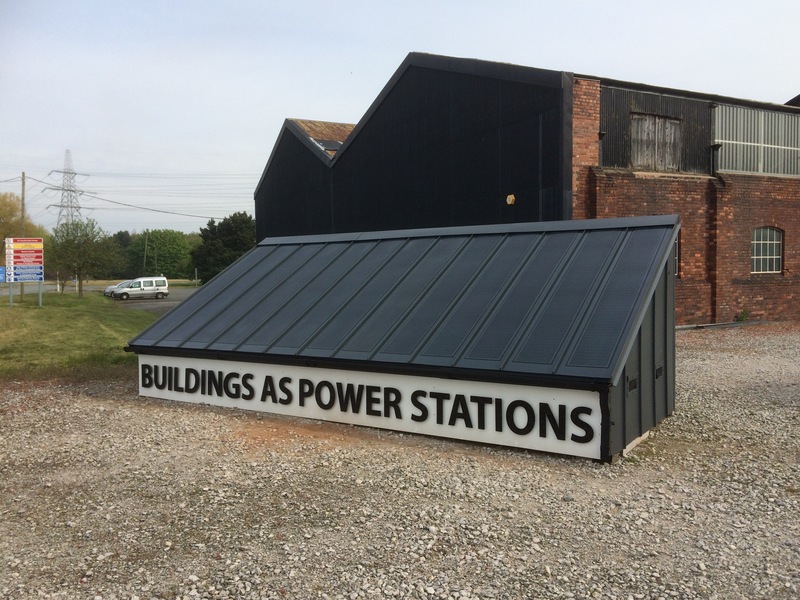 Solar PV carports can provide far more power generation area compared to the more limited rooftop surface commonly used for many solar installations. 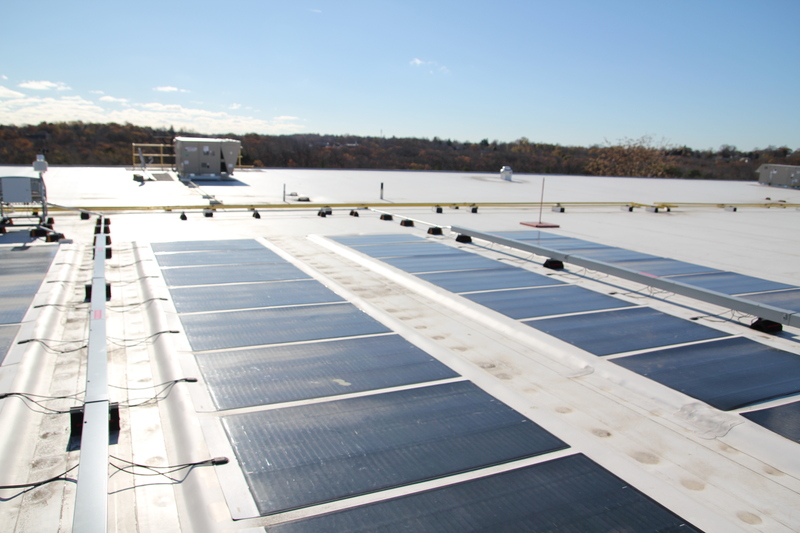 Parking lots, in general, have more solar potential and less shading issues than rooftop solar and can be easier to install than rooftop solar installations and be less disruptive to the facility. 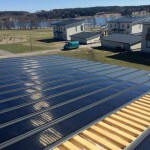 Two additional advantages to mounting solar on carports versus roof-mounted solar arrays include no roof penetrations, which increase exposure to potential water leaks, and the ability to avoid additional roof inspection or engineering and repair costs regarding the age, service life and integrity of the building’s roof. Highly desirable shade for parked cars. Low power distribution and energy transmission cost for the utilities. Traditionally most solar carports use conventional heavy glass crystalline solar modules installed on rails over large heavy gauge structural steel building components requiring large support columns with deep concrete piers or large ballast blocks. 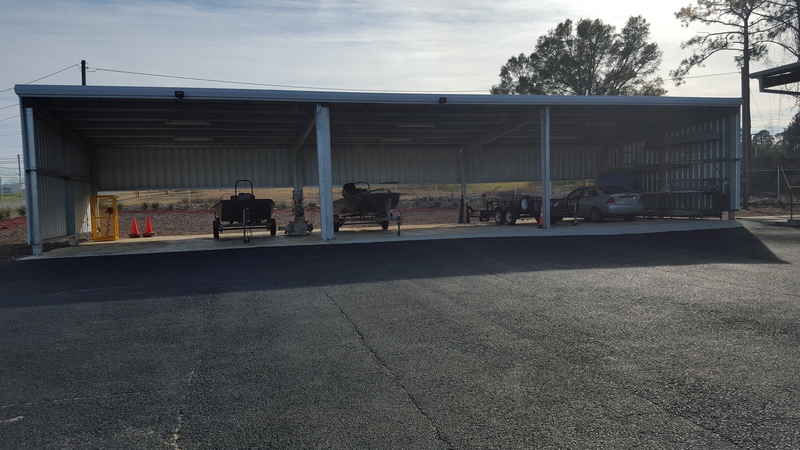 Even carports designed and built using architectural metal panels require additional heavy gauge structural steel, railing and roof clamps, all adding weight and cost to the solar carport. MiaSolé FLEX-02 thin film modules offer the same high efficiency power output as standard crystalline modules while weighing less than 0.7 lb/sf vs the 3-5 lbs. /sf for crystalline modules. The lighter weight of the FLEX-02 modules means less structural steel is required in the carport design, which means less cost and faster construction time. Solar carports constructed with the FLEX-02 can use light-gauge roll-formed steel, which allows the support columns to be placed further apart, creating a more open design. Good wind- and seismic-performance engineering is important to carport design. 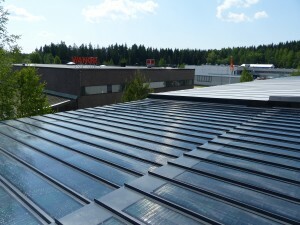 With traditional glass modules, there is concern about the stresses of wind and seismic movement. In addition, purlins can sag when support columns are placed far apart, impacting glass module and rail attachment. Architectural metal panels with FLEX-02 modules provide stiffer support surfaces, can span wider distances, and are engineered for good wind and seismic performance while using lighter structural support. Many facility owners have existing carports without solar. 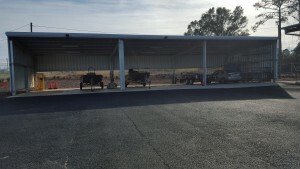 Owners often want to retrofit these existing carports, only to realize that the original design and construction will not support the additional weight of convention crystalline modules. Until now, the only option was to tear down the existing carport structure and to design and rebuild the carport to support conventional solar. 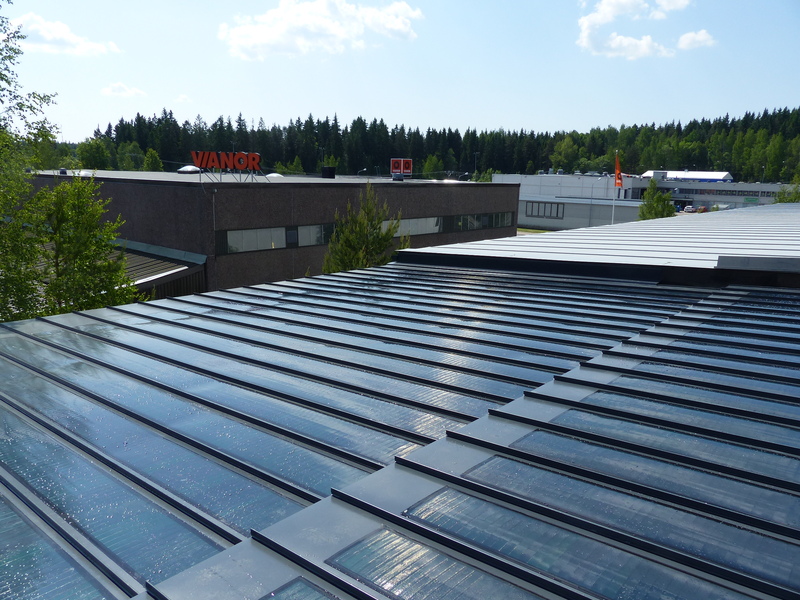 MiaSolé FLEX-02 flexible and lightweight thin-film solar modules can be installed over existing carports constructed with architectural metal panels and some square rib corrugated metal panels without affecting the current weight limitation design. On carports with non-compatible metal panel profiles, these metal panels can be removed and replaced with new architectural metal panels without having to modify the existing support structure at a cost lower than full replacement. 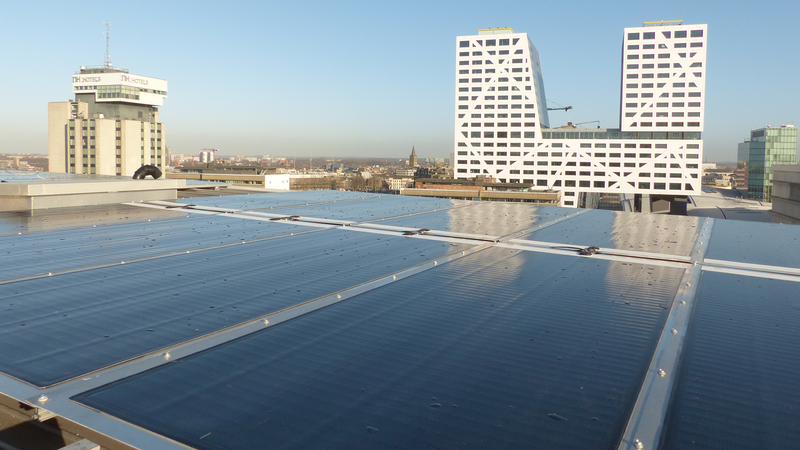 FLEX-02 modules can be installed onsite, requiring fewer installers and equipment, speeding up both new construction and retrofit installations, all at a lower cost. 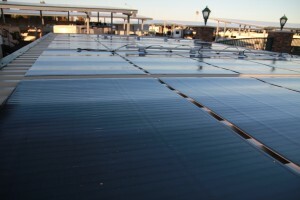 Article: North American Clean Energy “Solar Carports – Flexibility by Design”. Landfills are located on large, open areas with no commercial or agriculture use or value—perfect for solar installations. 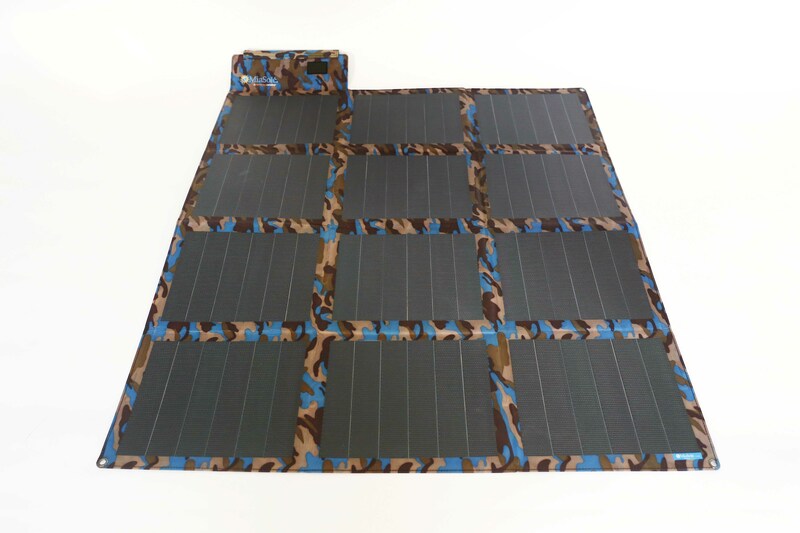 Closing and sealing landfills with a synthetic TPO membrane cover reduces costs compared to conventional standard subtitle D methods, and flexible solar modules then can be bonded directly to the membrane cover, providing power generation capability. Landfill membrane covers and flexible modules are a perfect combination for sloped landfill sites where conventional solar arrays cannot be installed due to slope and live-load limitations. Landfills provide large power-generation area and fewer shading issues when compared to rooftop solar, and adding solar modules to landfill covers is an excellent complement to landfill gas technology to increase overall energy output. Installing solar modules on reservoir covers allows reservoir owners and municipalities to generate power using the water surface area without consuming valuable land area for a solar array. Due to reduced evaporation, a 3-acre storage pond covered with a solar reservoir cover could save over four million gallons of water each year. In addition, solar reservoir covers ensure less water contamination and algae growth, minimizing water treatment costs. 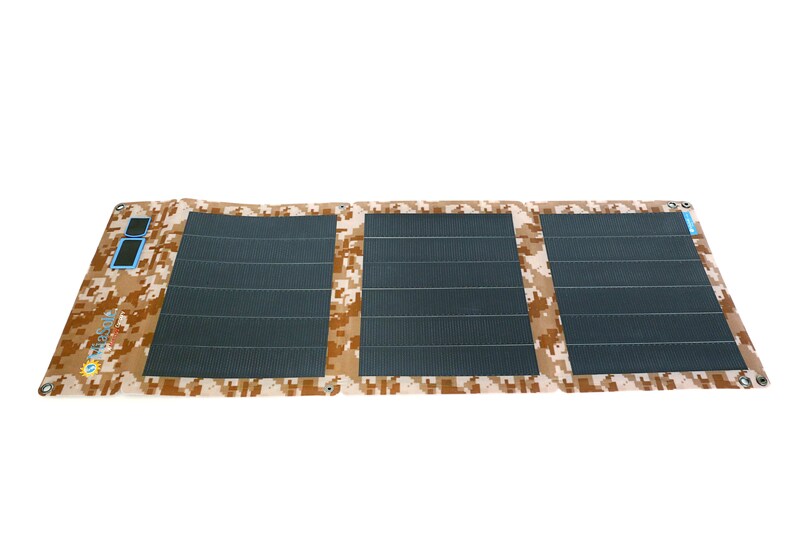 MiaSolé FLEX panels are the most efficient thin-film lightweight flexible panels on the market today—with an efficiency rating of 16%–generating the most power possible. 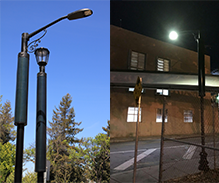 For lighting applications, this means that the power generated by a MiaSolé panel is sufficient to power an LED streetlight for up to eight days, meaning even in times of inclement weather the light will be powered. The MiaSolé Flex panels curve around the light pole structure, eliminating the need for a separate rack. Not only does this reduce the chance of vandalism and theft, but it preserves the aesthetic appeal of the light. 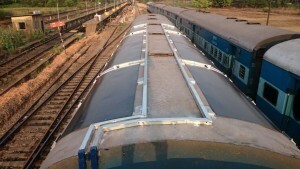 In addition, the manner in which the FLEX panels lay on top of the cylindrical shape of the pole increases wind resistance. A traditional solar light with rectangular panel can only withstand 70 to 90 mph winds while a light powered by a MiaSolé flexible panel can withstand 150+ mph. 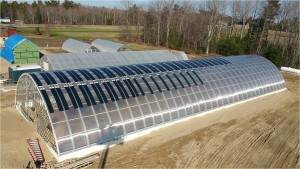 Greenhouses are climate controlled environmental structures. With the integration of photovoltaic panels, LED lighting, heating and monitoring systems can be powered off-grid. This allows growers to fulfill green mandates and sustainability goals through carbon reduction and local sourcing. 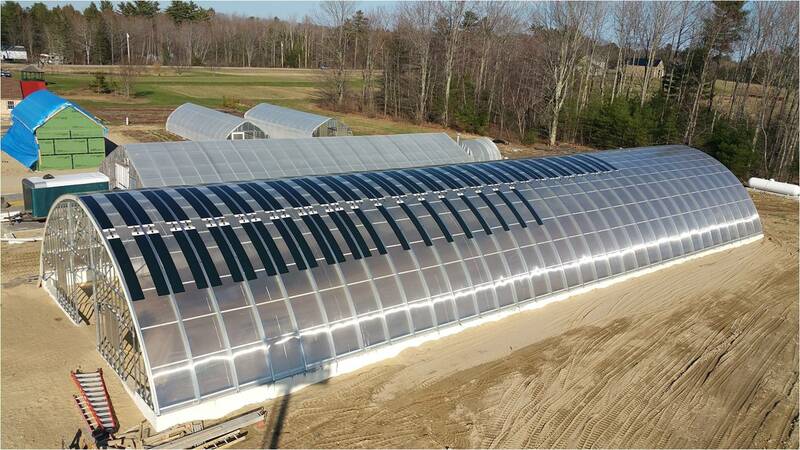 Adding photovoltaic panels to greenhouses also dramatically reduces lifetime building and energy costs. The flexible and lightweight thin-film MiaSolé solar cell can be configured in multiple ways and be tailored to fit any application. The unbreakable cell is a dark uniform color with an appealing interconnected design that enhances the appearance of consumer devices. 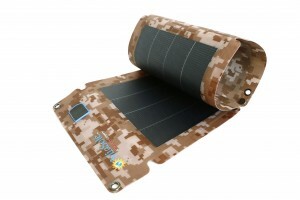 The cell generates the most power available in a thin-film design at 16% efficiency, which, along with the lightweight design keeps the final weight of the device as low as possible. Hanergy Hantiles are created by encapsulating MiaSolé thin, flexible thin-film solar cells into ultra-clear float glass. As a building material, Hantile conserves heat more effectively and offers better thermal insulation than standard roof tiles. The glass Hantile products are waterproof and can generate electricity at temperatures ranging from -40C to 85 C. The product line has been certified by the Chinese and European authorities, with US certification expected in the coming year. Hantiles have an efficiency rate of 16.5%. 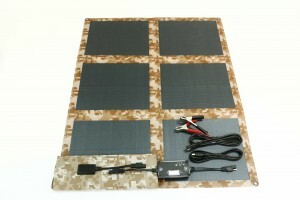 The Hanergy Solar series of vehicles include the Hanergy Solar R, Hanergy Solar O, Hanergy Solar L and Hanergy Solar A, targeted at different groups of users. 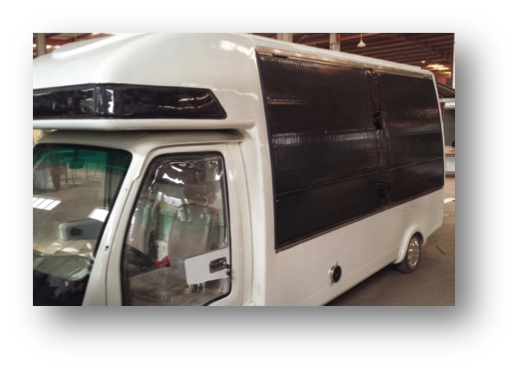 As Hanergy’s full solar power vehicles acquire power directly from the sun, they do not depend on charging posts and thus have no need to bother with “distance per charge” anymore, making “zero charging” possible during medium and short distance journeys. 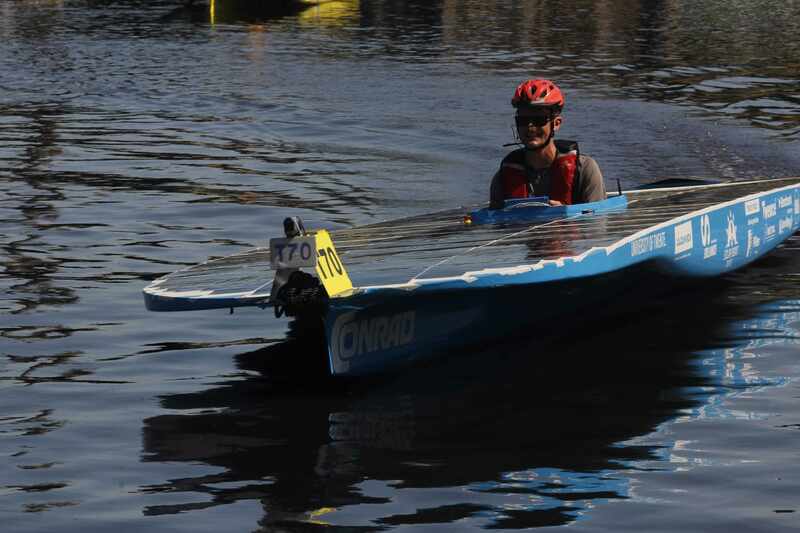 The solar cars use Hanergy’s gallium arsenide (GaAs) dual-junction solar cell, with a conversion rate of 31.6%. This cell was awarded with aWorld Record Certificateby the World Record Association.